December 13th in WP Stuff by Wordpress Jedi . Every business needs to have an online presence these days. That applies to yoga and fitness sites. Yoga Fit is one of many themes you can rely on to give your website a more professional look. The designers have developed this theme with yoga studios, dancing classes, and other similar businesses in mind. The theme has a responsive layout and offers support for WooCommerce. Yoga Fit is ready for retina displays. It has a custom admin panel that allows you to customize your site. You get a drag and drop editor to rearrange your content. Yoga Fit offers Google fonts integration. Want to build a one-page website? No problem. Since Yoga Fit offers WooCommerce integration, you can use it to sell products online. Layer and Revolution Slider plugins are also included. 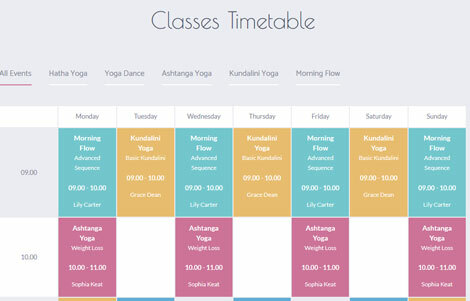 Yoga Fit lets you customize site fonts, colors, and content layouts easily. It is ready to be translated. You get over 99 shortcodes to get started. This is a commercial theme by an Elite author.